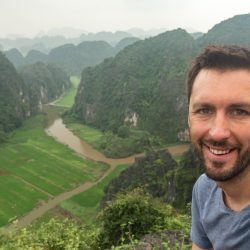 The big cities of Vietnam — especially Hanoi and Ho Chi Minh — are easily some of the best people-watching places I have been. Just observing the traffic flowing past can keep you entertained for hours. 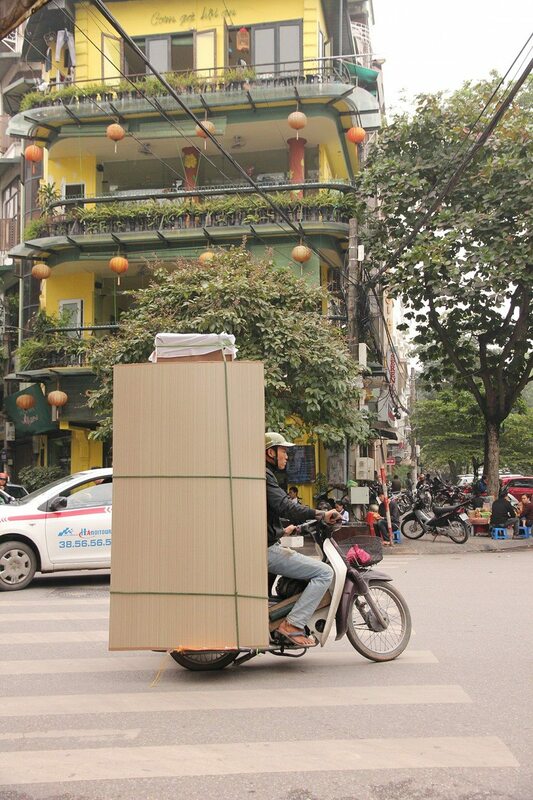 As soon as I first arrived in Hanoi, it was clear that the traffic here was unlike anything I had seen before. It’s not cars but scooters that rule the roost. 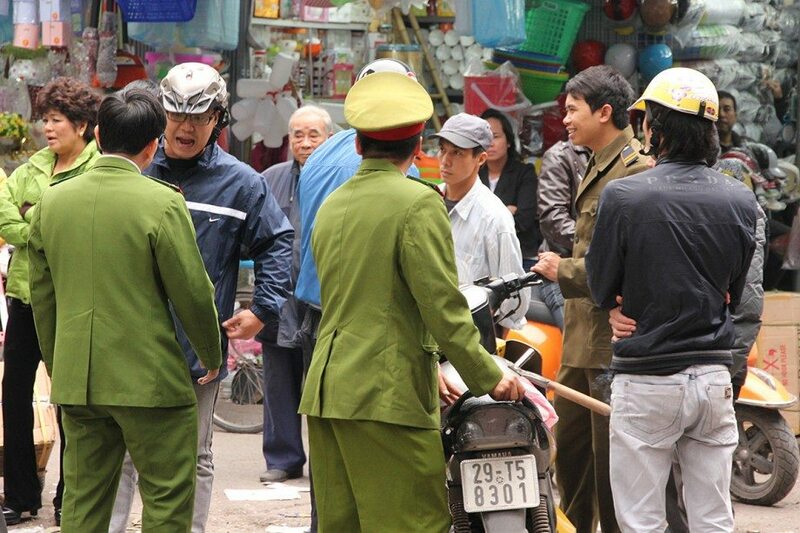 Go to any downtown area of Hanoi and you’ll see endless streams of them flowing through the streets, seemingly ignoring every traffic regulation yet somehow never colliding. Crossing the street in a city like this can be a hair-raising experience: there is absolutely no point in waiting for traffic to subside, as it never will. And so you just have to start walking across and trust that all the scooters will swirl around you in front and behind you. When I first crossed the street and forced my way through the traffic flows, I was reminded of swimming through a school of fish when scuba diving. 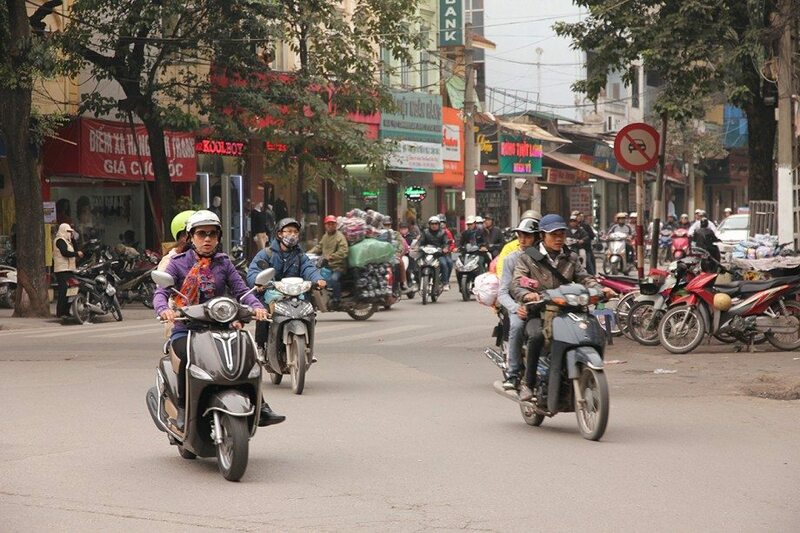 To many Vietnamese families and businesses, the scooter is often the only means of personal transportation. This makes it not uncommon to see an entire family on one scooter. And when I say family, I do mean the whole family. At one point I sighted 6 people sharing a single motorbike: two parents with four children stacked between them. Crazy! 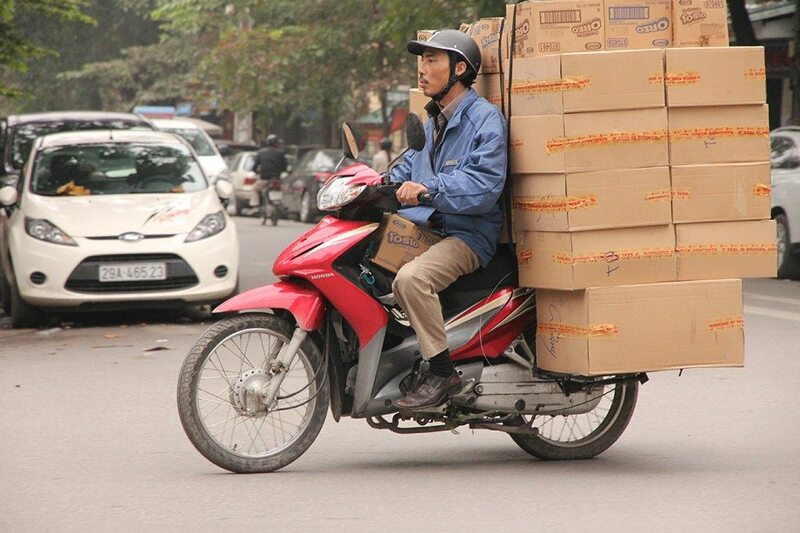 Some use their scooters to transport goods around town, and we’re not just talking pizza deliveries here. 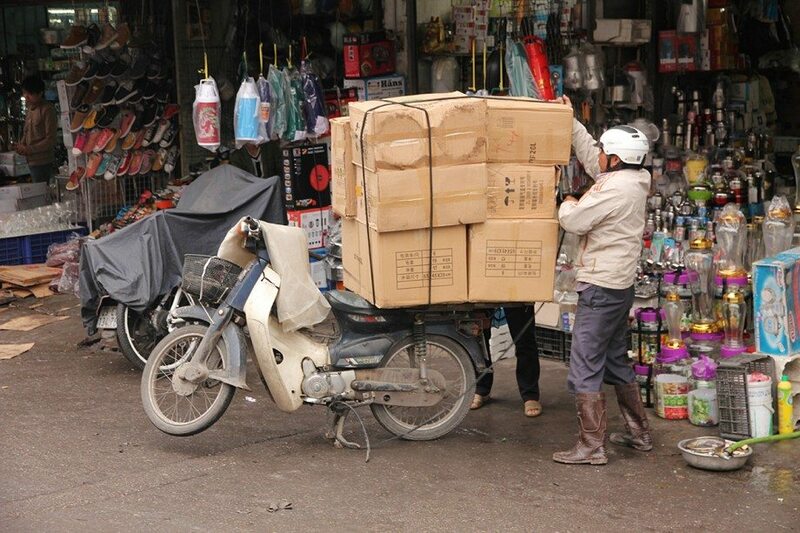 They’ll stack enormous boxes, sacks, and bales on the back of their bikes. 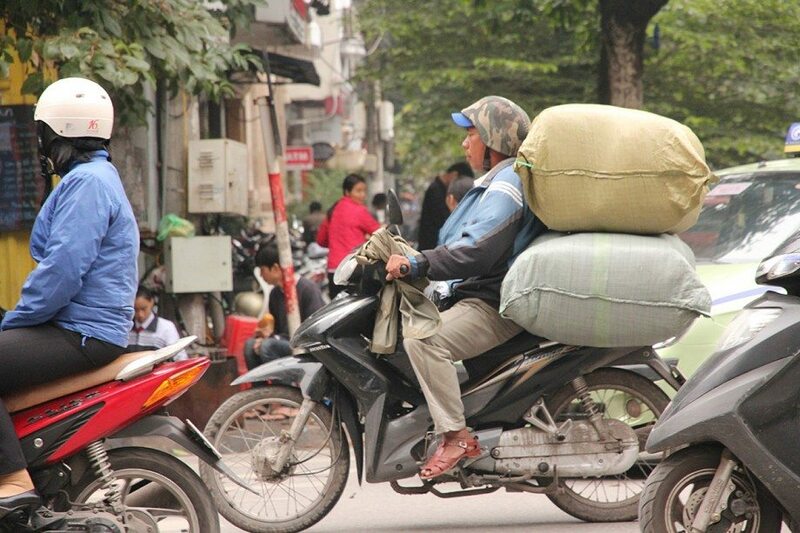 As I sat at a Hanoi cafe watching the people go by, I even saw a scooter carrying two large 2m tall panes of glass, which seemed pretty precarious just being vaguely attached to a luggage rack. Back at my hostel I spoke to an older traveller who had come to Vietnam several decades after first visiting in her younger years. To her the number of motorbikes was even more fascinating than it was to me, as she still remembered what Vietnam had been like before the motorbikes took over. 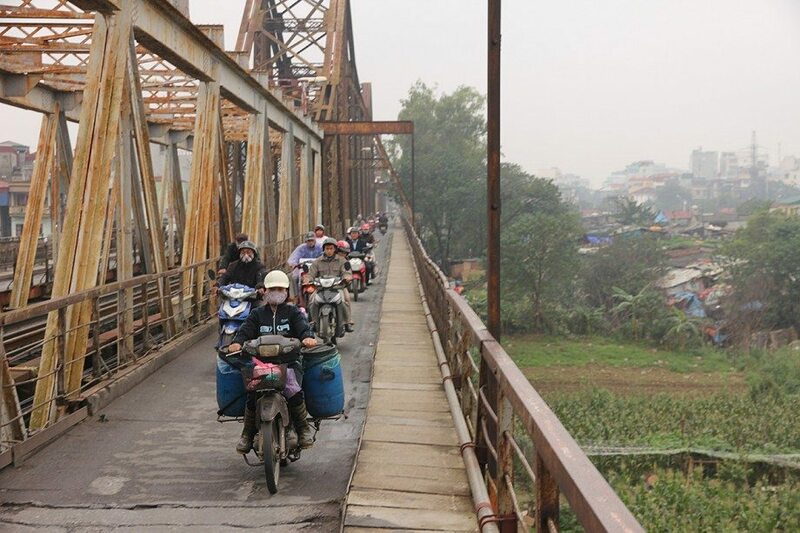 If you’d been to Hanoi or Saigon in the 1970s or 80s, most of the traffic would still have been bicycles. And while you do still see plenty of people ride bicycles while wearing the typical conical hats, these have mostly been replaced by motorbikes and helmets. 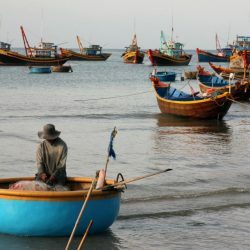 You could be easily forgiven for disliking all the noise and congestion in Vietnam’s biggest cities – after several days in Hanoi’s Old Quarter, I was definitely beginning to crave some quiet mountain town or a village among the rice fields. 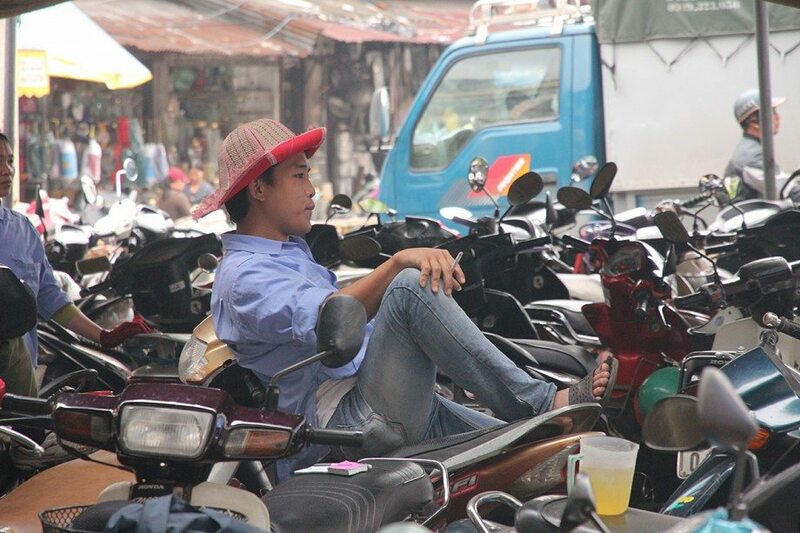 But the chaos and uncontrolled nature of Vietnam’s cities is also what makes them enormously compelling places to explore. So here’s my recommendation if you are in a big city in Vietnam: just find a little cafe or neighborhood pho restaurant somewhere in downtown, pull up a chair and just spend some time watching everything that comes zipping past. Love this post! Great pictures! 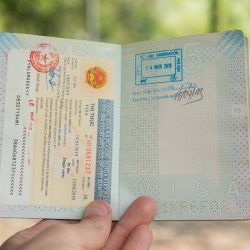 We lived in Hanoi for 9 months and taught English. 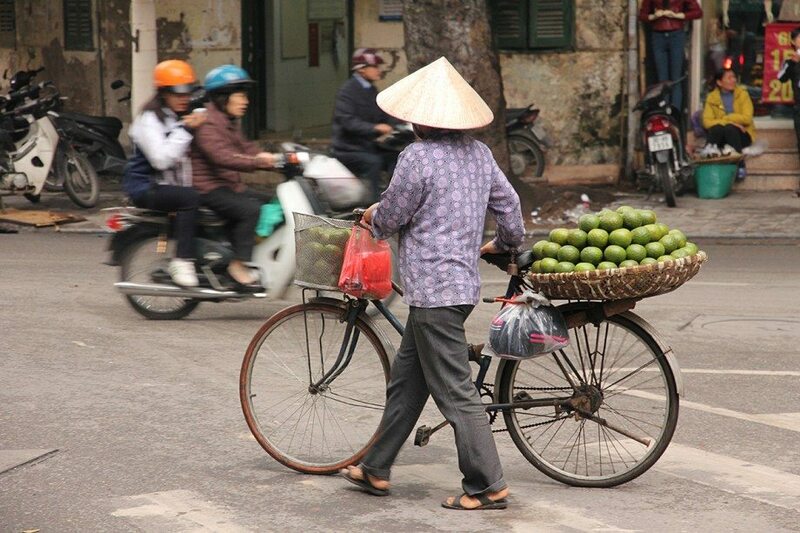 I loved riding around Hanoi. It was like trail riding in the city, if that makes any sense at all. You had to take your path just like off road and dedicate yourself to that path. You had to really think about your next move. Really enjoyed seeing the pictures us takes me back! We miss it. Hi Marek, is there a post where I can read about how you travelled through vietnam. The places you stayed at and so forth. 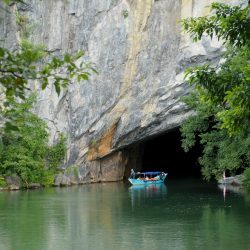 Planning to Check out Vietnam in summer.